"Baby socks are so small and very fast to knit!" A lot of people ask for patterns for baby socks on the Internet. During years I have knitted a lot of baby socks in many shapes and colors. 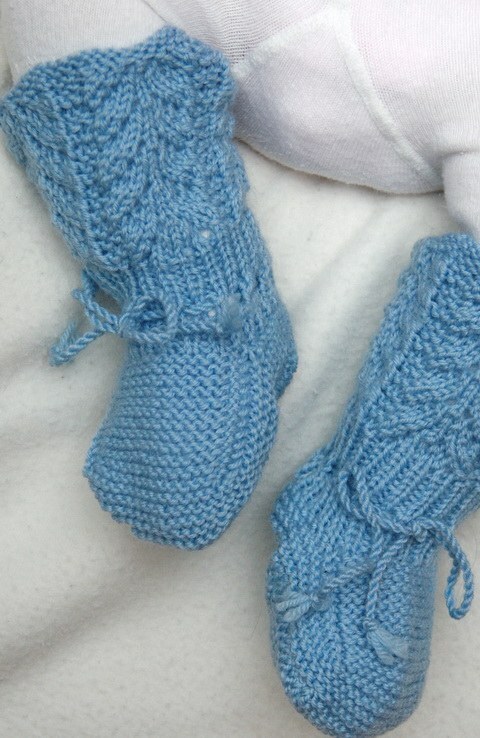 As I was young and waited my own babies I designed several knitted baby socks. A lot of my friends who also expected baby at that time were very happy for this. We had a great time! Excited to wait for our babies we spent many hours together knitting baby clothes. Baby socks were so nice to knit because they were so small and very fast to knit! 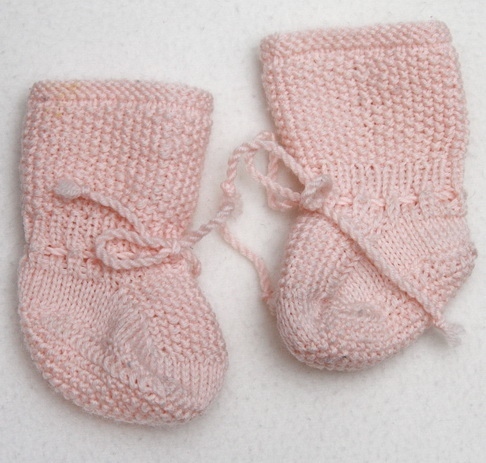 Therefore I thought that now, as we are in the start of opening a baby site for knitted baby clothes on the internet baby socks could be something to start with. 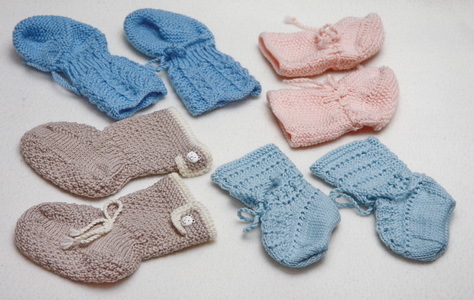 Now I have designed a pattern containing 4 different knitted baby socks. Typical for these baby socks is that they all are long-legged. When the baby socks are knitted like this they will be very good to wear. As usual I always use thin, soft merino wool yarn for the baby socks. Therefore they always are soft, lovely and warm to wear. Once I knitted some clothes for a friend of my daughter. It was a jacket, a bonnet and small baby socks. It did not take long before my daughter asked me if I could knit her another pair of socks! I should be well paid she said! My daughter laughed when she told me! Her friend just loved the socks! 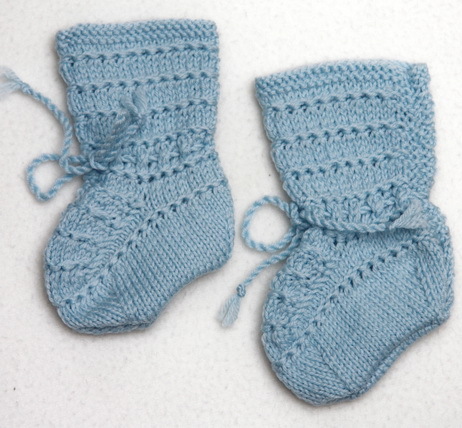 Now I hope you will knit some of these baby socks for your baby or someone else. They are not difficult to knit. They are small and you will soon be finished. 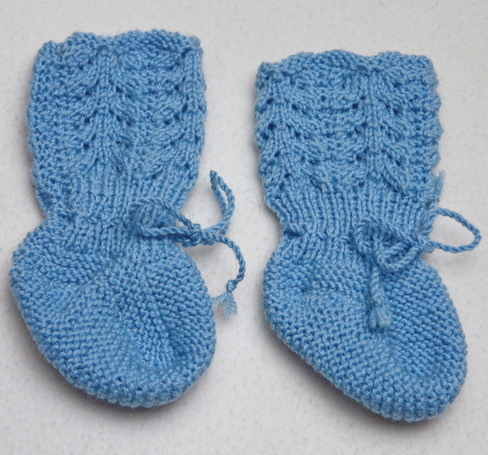 And at last when you are finished you will see that the baby socks looks very nice and you will be happy!